This program includes Math and English (Reading, Writing and Comprehension). The program is meant to train students at all levels (K-12) how to develop smart learning strategies in these two important subjects and become independent minds who can solve advanced problems compared to their educational levels. While we provide on-going worksheets for students to work through on weekly basis, however, we DO NOT just give worksheets out to students for them to “figure things out” themselves, we also provide adequate one-on-one tutoring for them to understand the concept and be able to carry on independently. Students can register in either one or both of these subjects. Our tutors will teach them each topic and solve examples with them. They will then ask the students to work through the worksheets themselves, both on site and at home. Students enrolled in our Core Program meet a tutor once or twice a week. They will hand in their completed worksheets to their tutors for grading. The tutors will show them where they went wrong and give them guidance on correcting the error. Having successfully resolved their mistakes, the students will be given personalized tutoring on their next worksheets and then asked to work on their own. This Core Program is top-notch, compared to other similar programs around. It is 100% based on Alberta curriculum, so students are not given irrelevant exercises to work on, with no bearing on their school work. Whatever worksheets they work on will enable them to advance through their school work quickly. One of the benefits of this program is that it allows students to stay ahead of the curve; if they always complete their worksheets on schedule, they will be far ahead of their class. Another benefit is more interest in learning in the classroom, since they already know what the teacher is talking about. Students enrolled in our Core Program can simultaneously enroll in our homework help program. And they will receive excellent personalized tutoring and guidance on all their homework problems, according to the terms of the program. 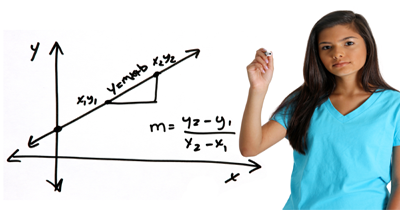 However, because Excellenz Tutoring strives to provide program flexibility at all times, students do not necessarily need to enroll in the homework help program to receive such help; we allow students to use part of their Core Program hours towards solving homework problems or working on a school project, all under the personalized guidance and supervision of our dedicated tutors. This flexibility is hard to come by with other programs and Tutoring Centers out there. Overall benefits to society in the long run.